Ground floor furnished flat offering great value for money accommodation near the West End. Flat comprises entrance vestibule, good sized living / dining room with kitchen off, to the rear are 2 bedrooms ( one double and one single) both with fitted mirrored wardrobes and bathroom with shower over bath. Storage cupboard. Electric heating. Communal grass areas to front and rear. 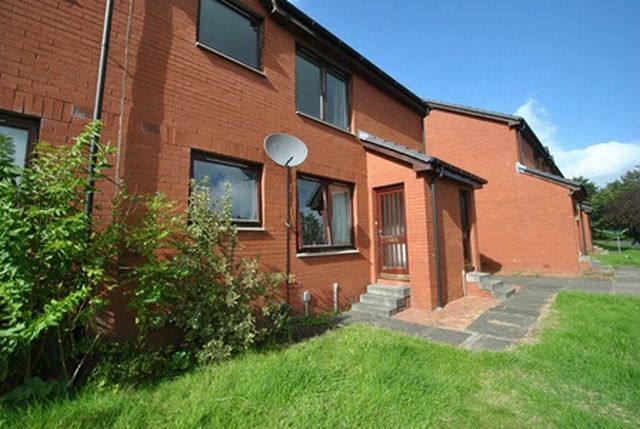 Situated on sandbank ave this flat is close to Maryhill rd with its bus links into city centre, close to all local amenities and large Tesco supermarket.